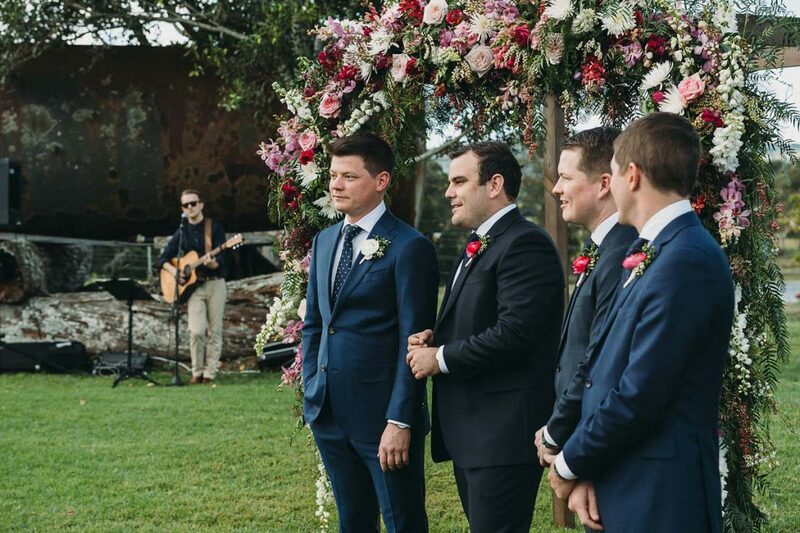 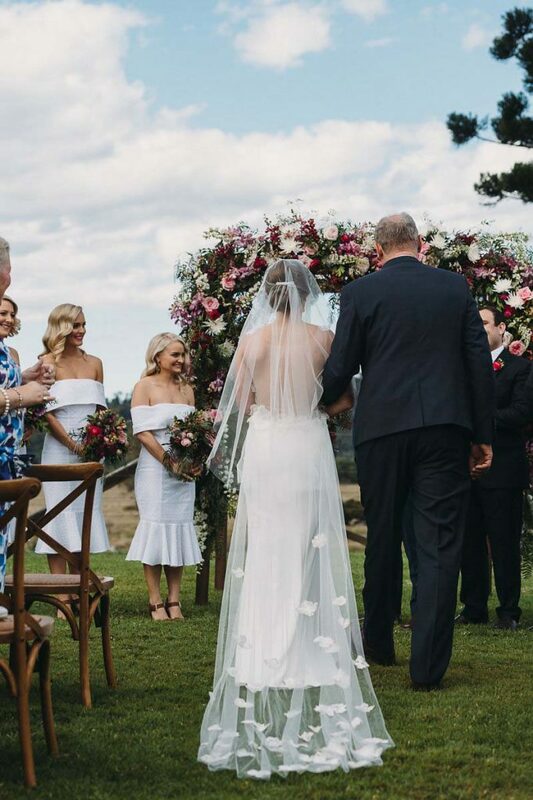 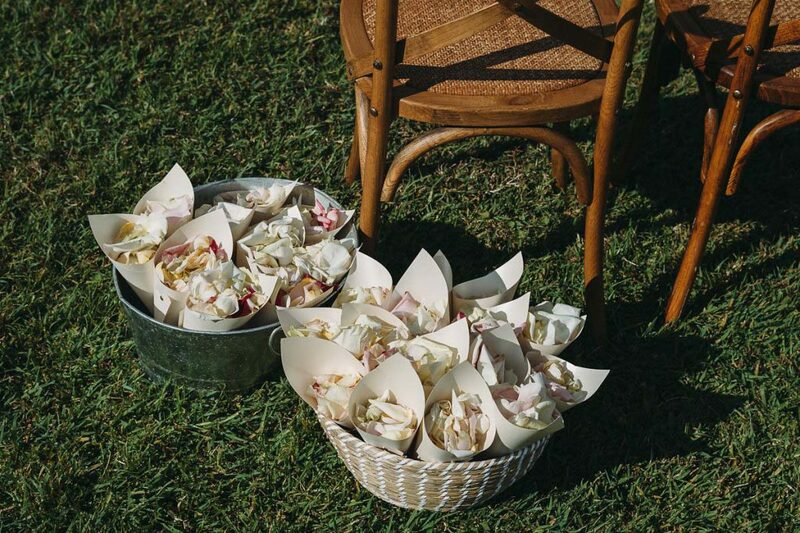 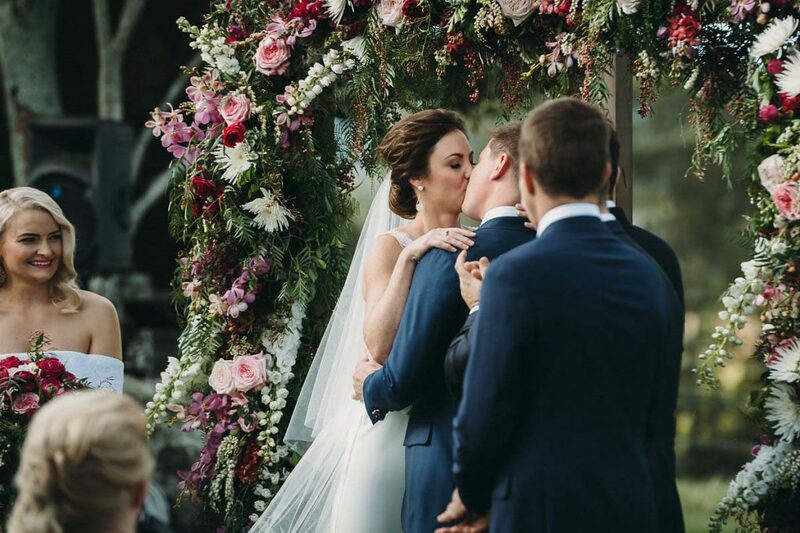 Feminine and luxurious blooms took centre stage at this incredible wedding at Yandina station for Annabel and Alan. 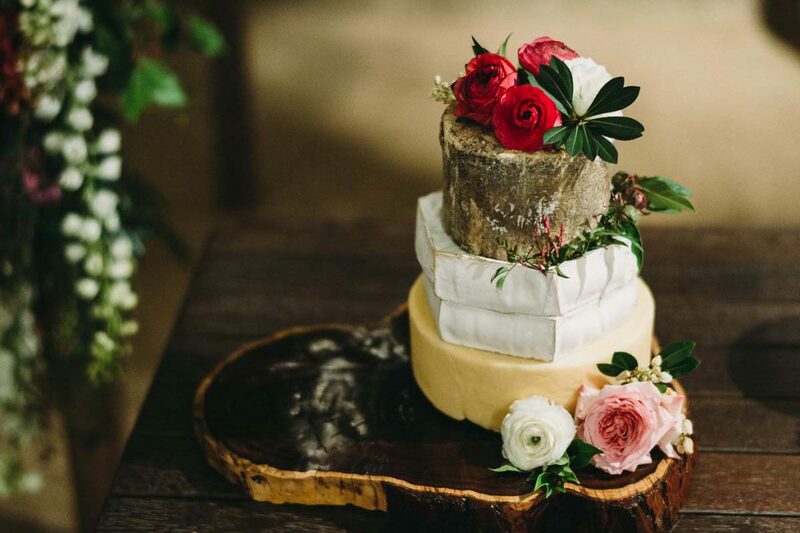 CL Weddings and Events styled up a storm in conjunction with our floral designs to bring Yanina Station from the rustic old dairy that we all know and love to a sophisticated wedding reception with rustic undertones. 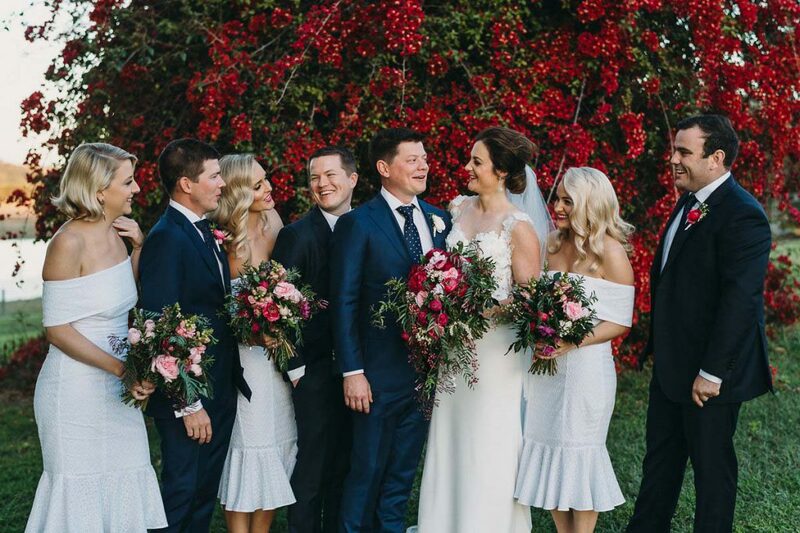 As Annabel’s bridesmaids wore white, it was decided that we needed to go bold on the flowers with hues of raspberry, pale pink, blush and magenta with pops of white to soften. 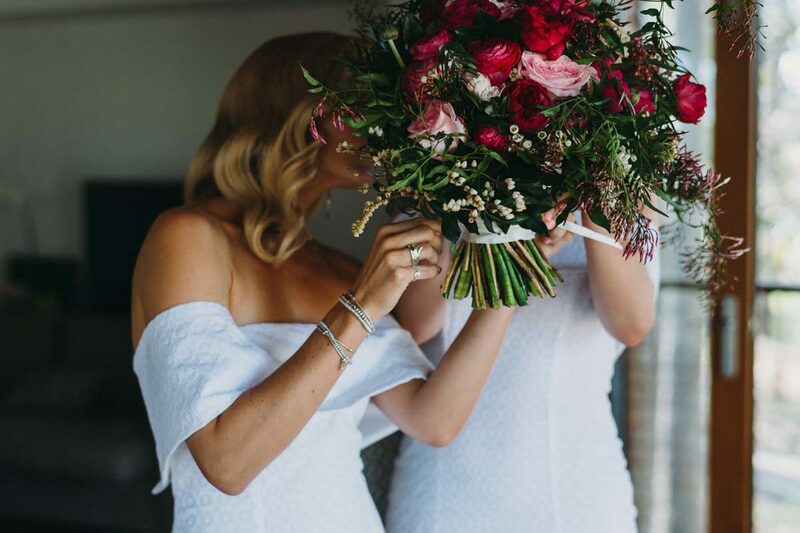 The wedding was held in late August which is my favourite time of year for flowers, as you scroll down you will totally see why! 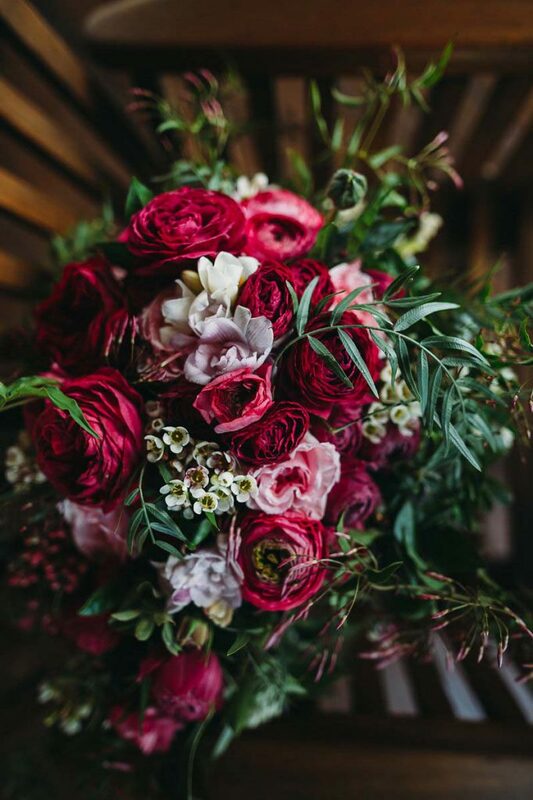 The bouquet was beyond dreamy with an abundance of cottage roses, jasmine, ranunculus, and andromeda- basically all of my favourite blooms. 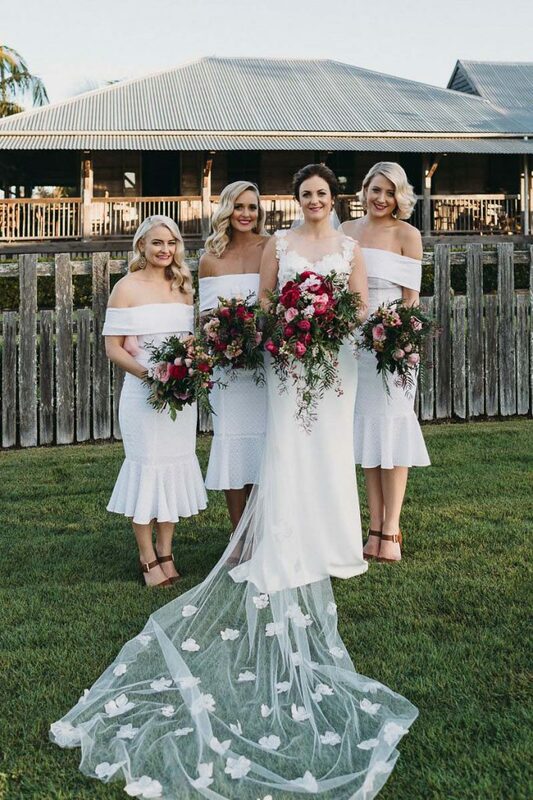 We designed an oversized modern cascade for the bridal bouquet to compliment the stunning wedding dress by Erin Clare Couture. 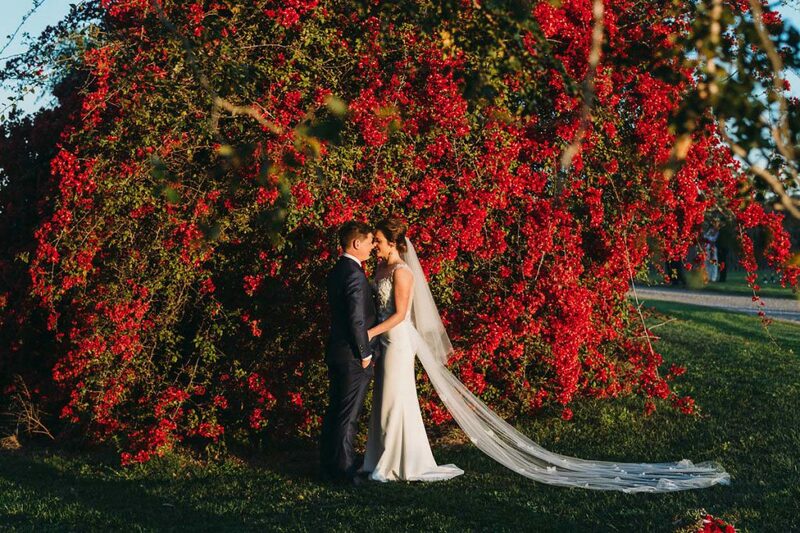 The ceremony space was held on the lawns directly behind the tree facing Mt. 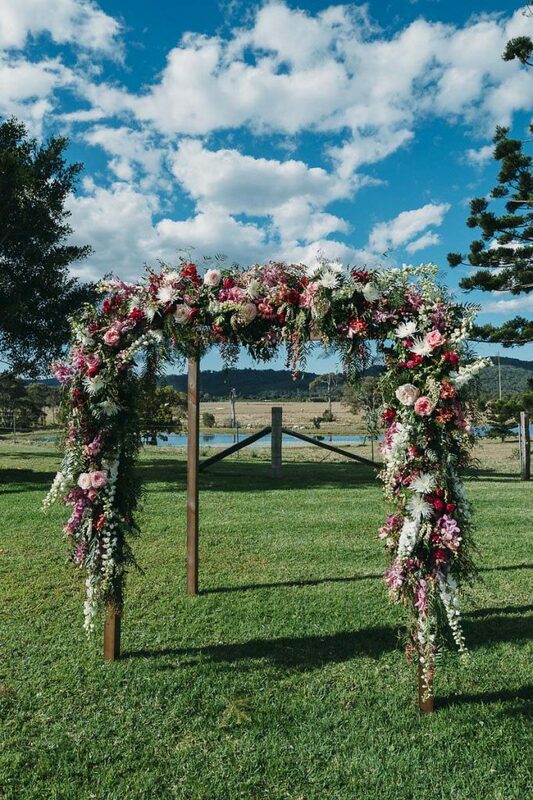 Coolum. 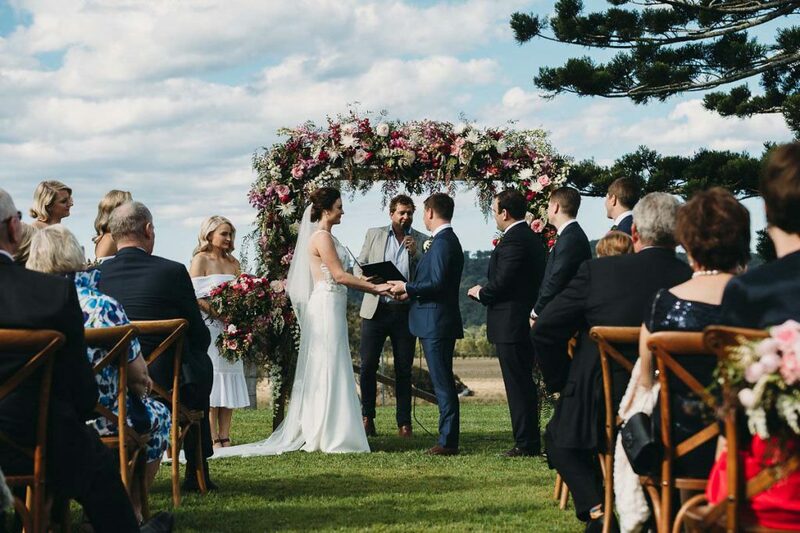 Most brides, in my experience, choose to hold their wedding ceremony under the fig tree, however in this instance as it was the perfect Sunshine Coast weather to hold the ceremony in full sun so that the tree was freed up as the cocktail party space. 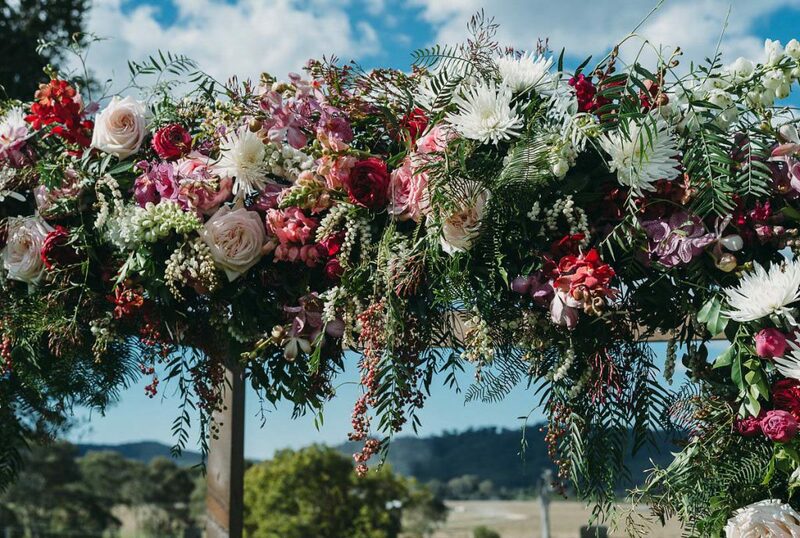 We created a very lavish and luxurious floral design for the arbour with layers and layers of the prettiest winter turn spring blooms. 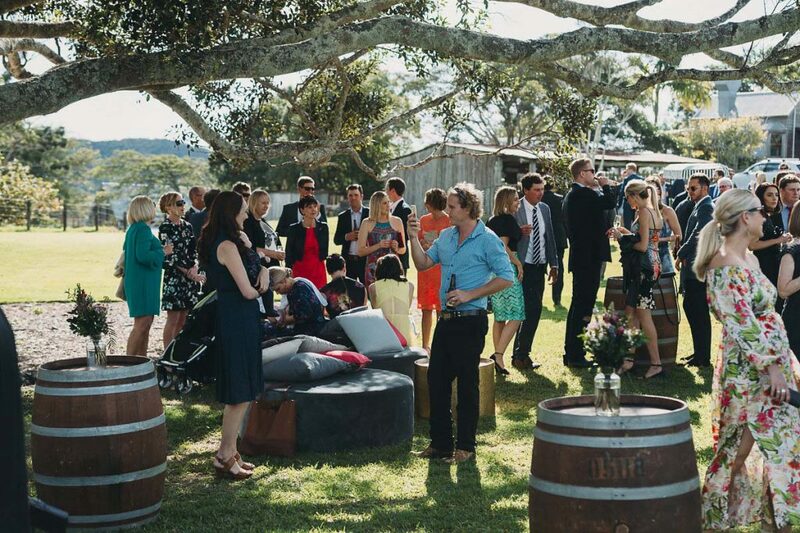 Complimenting the arbour, and perfectly aligned, oak cross back chairs created seating for the guests. 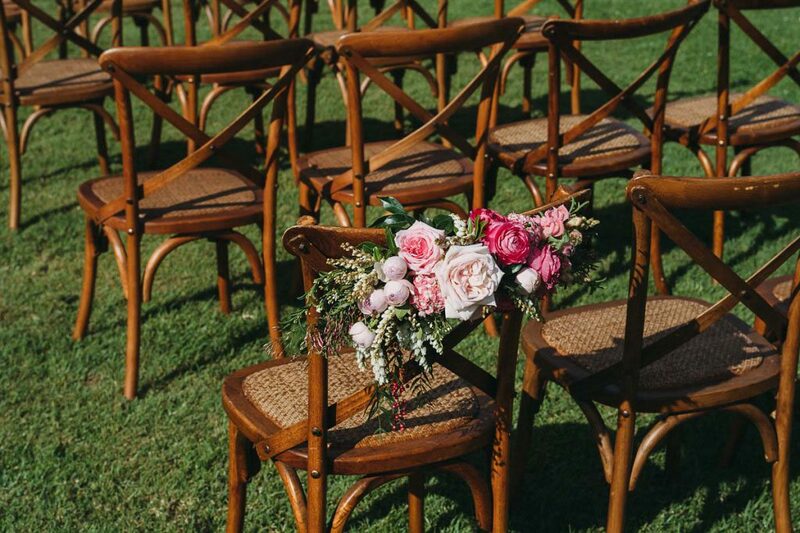 On the first two chairs at the begging of the wedding aisle stunning floral features were attached, these two chairs were later on transferred to the reception and became the bride and grooms chairs for the evening. 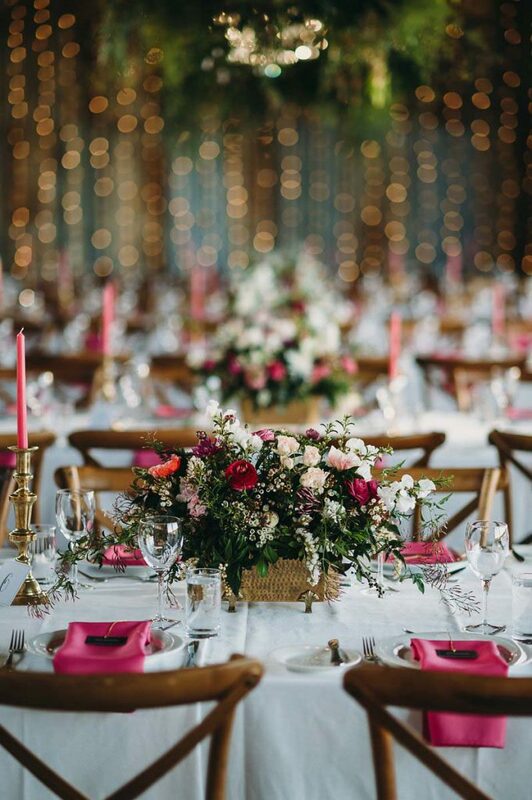 The reception tables were dressed in oatmeal tablecloths with contrasting hot pink napkins and candlesticks. 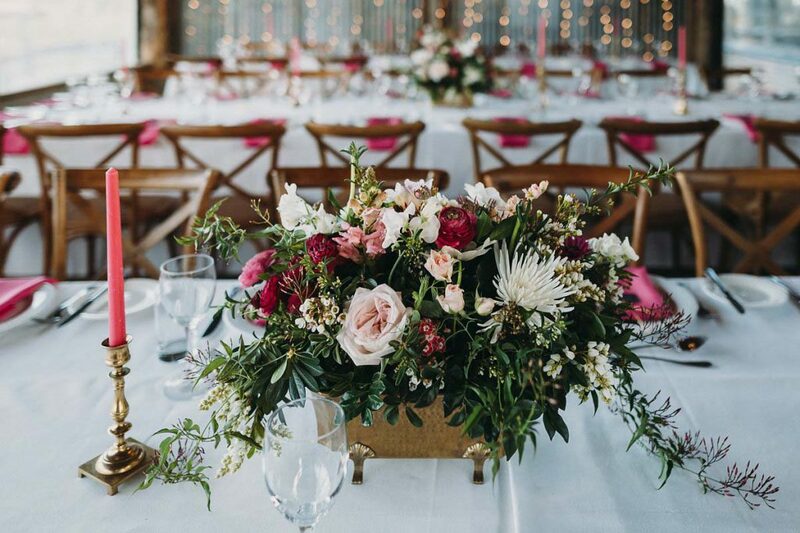 Brass elements complimented the warm pink hues so it was a no-brainer for us to use our brass troughs filled with a slightly lighter overall colour palette incorporating more blushy tones. 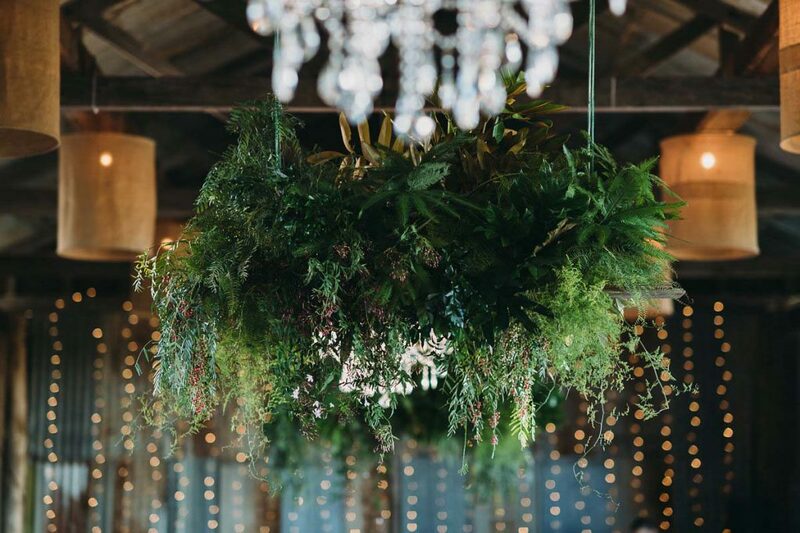 To offset the boldness of the pink and the rawness of the dairy we installed 3 oversized and lush cascading foliage installations. 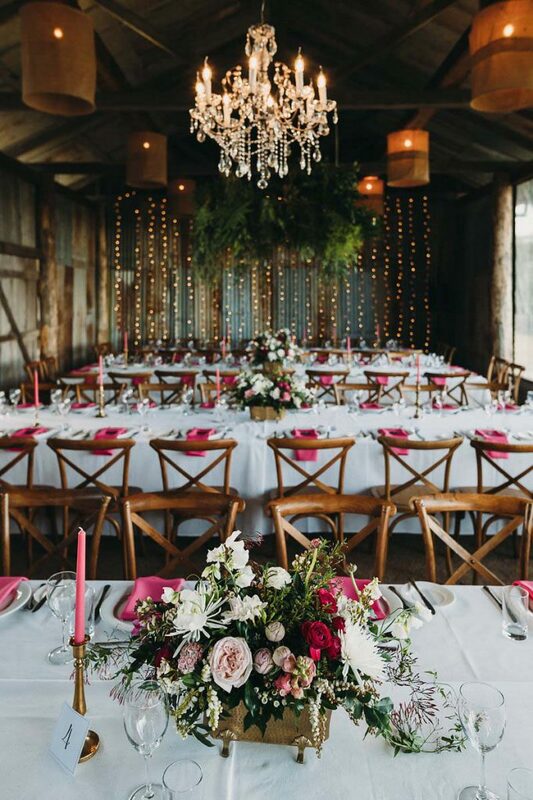 This gave the overall design a calming feeling and really worked well with CL Weddings and Events’ chandelier and the existing fairy lights. 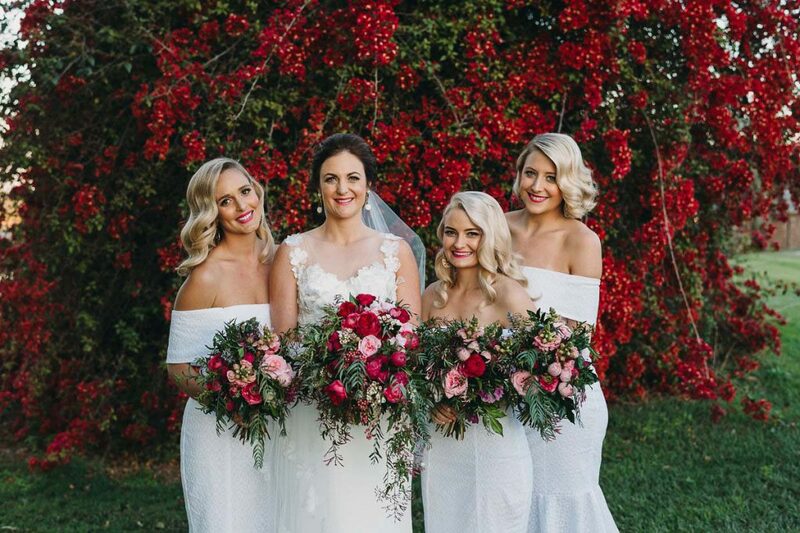 We loved working with Annabel in bringing her vision to life, my team and I left Yandina Station that day with tired feet, sore backs, messy hair and big smiles on our faces.